Tens of thousands have signed a petition to stop a 96-year-old veteran, who is Britain’s oldest prisoner of war, from being ousted from his home due to care costs. Robert Clark, who is blind and wheelchair bound, faces being forced out of his North London home because the local council claims it can’t afford to pay for a live-in carer. He has also been forced to spend his whole life savings over the last two years just to meet the £960 weekly costs. 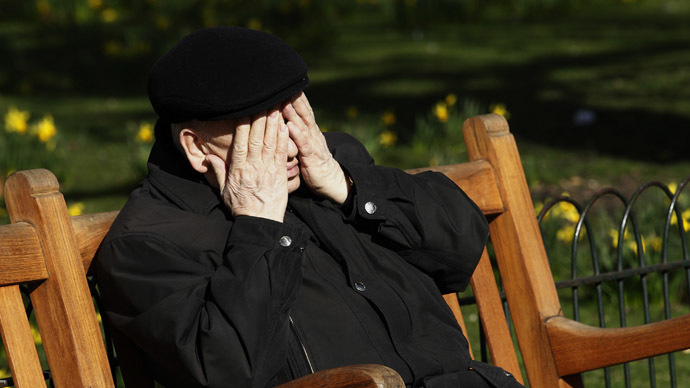 Brent Council, which has said Clark should go into a care home, can only contributes £350. Clark served with the Durham Light Infantry in North Africa. He was captured by Axis forces in Tobruk in 1942 and kept prisoner for the remainder of the war at various camps in Poland. He survived the notorious 1945 Death March, in which prisoners were forced to walk 1,000 miles on foot in vicious winter conditions as Hitler’s forces retreated to Germany. Phil Porter, Brent council’s strategic director of adult social care, told the Daily Telegraph: “We recognize Mr Clark’s contribution to this country and sincerely empathize with the situation that he and other older people like him across the UK are in. The 38 Degrees petition quickly gained a substantial number of signatures but it is estimated that Clark only has enough money left for three more months of care. Still defiant at 96, he has consistently opposed the council’s suggestion that he move into a care home, saying it would remind him of the prisons he was once held in.